It's been pretty busy around here. Since I haven't had time to post as often as I used to, this post will begin a round-up of recent news. More will follow in subsequent posts. First some Terrapin Books news. My new press has proven to be a very challenging enterprise and a very rewarding one. I'm proud to say that thus far we have one anthology in print, The Doll Collection, and four single author poetry books: Confessions of a Captured Angel by Neil Carpathios, The Persistence of Longing by Lynne Knight, Cutting Room by Jessica de Koninck, and Bluewords Greening by Christine Stewart-Nunez. Two more collections are in progress: The End of Grief by Patricia Clark and Route 66 and Its Sorrows by Carolyn Miller. We've had two open reading periods and expect to have another one within a few more months. (Check the website for updated information.) The press saw a better than 30% increase in the number of submissions during the second reading period. We've also already been receiving some poetry love from the poetry world. A review by Grace Cavalieri of Neil Carpathios' Confessions of a Captured Angel appeared in the Washington Independent Review of Books. Dream Circuit, a poem by Lynne Knight from The Persistence of Longing, was featured on Verse Daily. And Viriditas, a poem by Christine Stewart-Nunez from Bluewords Greening, was featured at The Missouri Review online. Christine was also a featured poet at the South Dakota Festival of Books. Since arriving at my house, all books have gone out to contributors. 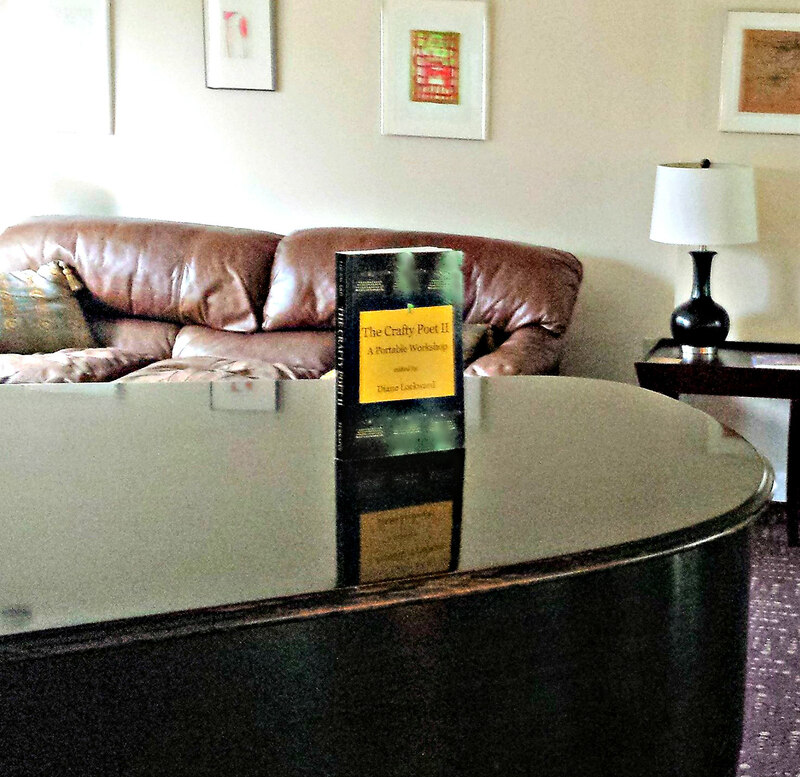 Some books have been spotted in various places across the US. Here's one spotted at the Virginia Center for Creative Arts. Thanks to contributor Hilde Weisert for donating a copy of the book so that other poets might use it. That's what's been happening with Terrapin Books. More news coming soon. I'm delighted to be reading at this year's Geraldine R. Dodge Poetry Festival, a special one as it's the 30th anniversary of the festival. The festival is held at the Performing Arts Center in Newark, NJ. It begins on Thursday, October 20, and runs thru Sunday, October 23. On Thursday, Friday, and Saturday, the festival runs from morning into the evening. On Sunday it runs until 5:15 PM. 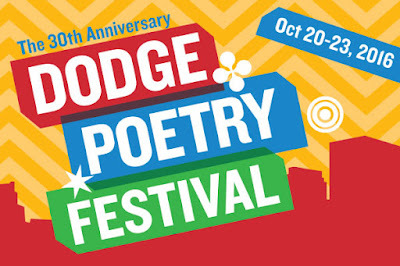 I'll be reading on Saturday, October 22, along with Robin Becker, Christian Campbell, Marty McConnell, and Aaron Smith. This reading is 5:00 - 6:00 PM in the Trinity-St. Philips Cathedral. Please come and say hi! Of course, the festival offers much much more. You can get a good Festival Overview at the website. You can also see the Full Festival Program. This is a detailed list of all events for all four days. You can also see the Festival Lineup of Poets. Each poet who will be at the festival is included in this list. Just click on each name to be taken to that poet's bio. The festival consists of individual readings, group readings, panel discussions, and open readings. As if that weren't enough, there's also music, a food court, and a fabulous bookstore hosted by Barnes & Noble. All festival poets will have their books available for sale in the bookstore. 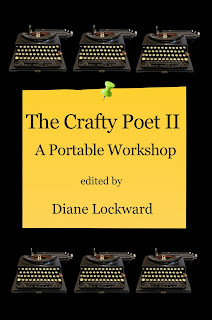 At last, after three years of gathering material from my monthly Poetry Newsletter and many months of putting all that material into some kind of sensible order and more months of doing countless revisions and proofreading, The Crafty Poet II: A Portable Workshop has entered the world. This is the companion volume to the original The Crafty Poet. It can be used as a companion that picks up where the first book leaves off or it can be used as a stand-alone volume. This craft book is divided into ten sections. 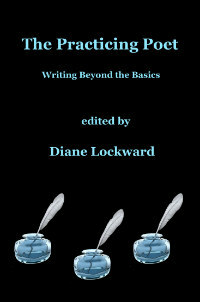 Each section includes three Craft Tips, three model poems, three prompts, six sample poems written to the prompts, one Q&A with a poet about the craft elements in one of the poet's poems, and a Bonus Prompt. There's lots of good craft information on such topics as using humor, creating good titles, writing poems from photos, using sound devices such as anaphora, revision strategies, and so much more. The book also provides a rich anthology of contemporary poetry and enough prompts to keep you writing new poems for a long time. Sixty-five poets contributed the Craft Tips, model poems, and Q&A poems. Among these poets are sixteen former and current state Poets Laureate. 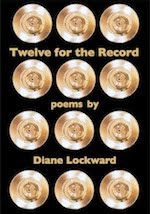 An additional forty-seven poets contributed the sixty sample poems. This group includes two former state Poets Laureate. I am enormously proud of the lineup of poets and the material they contributed to the book. Look for work by such poets as Tony Hoagland, Robert Wrigley, Ada Limon, Ellen Bass—way too many to name here. Find the complete list of poets HERE. I hope that The Crafty Poet II, like its predecessor, will find its way into college and university classrooms. I hope that it will also prove useful in workshop groups. And I hope that individuals using it alone at home will profit from it. This is a versatile poetry tutorial that can be used in a classroom or group setting or by an individual learning on his or her own at home. 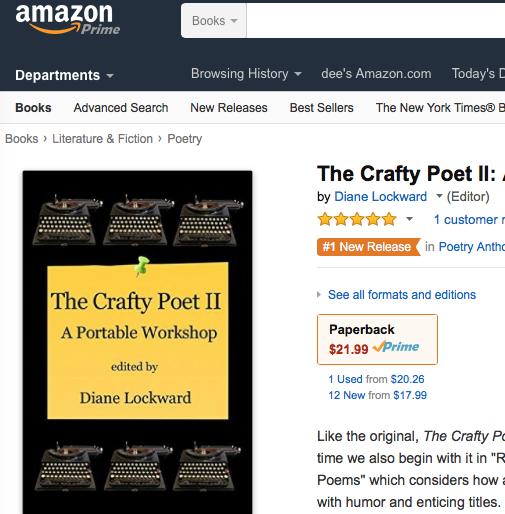 The Crafty Poet II is available at Amazon and B&N. It can also be ordered through your favorite bookstore. Bookstores and libraries may order through Ingram.